The Florida Fish and Wildlife Conservation Commission is conducting a survey to collect all sightings of the Eastern Fox Squirrel, a species of special concern. If spotted, please report your sighting at the Fox Squirrel Registry. The fox squirrel, named for its fox-like tail, is a charismatic mammal approximately twice the size of the common gray squirrel. 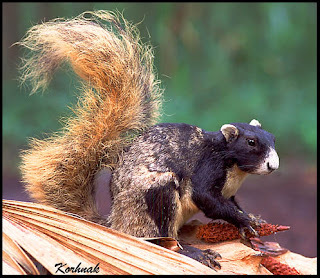 The coloration of the fox squirrel is highly variable, ranging from a creamy tan to all black. In Florida, the fox squirrel can be found in almost every county, but the distribution is patchy and not well understood.